Home>Blog>Blog>Behind the Seams>Your First Pattern of the Year is Here! Meet Sara! Our first pattern of the year is here! 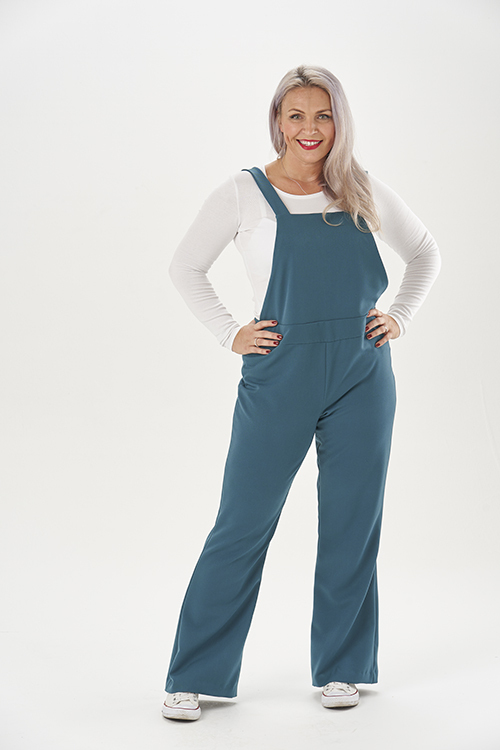 Meet the Sara Dungarees! Grown-up, sophisticated and chic, they are perfect for those of you loving the dungaree craze, but who prefer clean lines and sleek silhouettes. When Lisa designed the Sara Dungarees she wanted them to be minimal in style, so the fuss-free bib features no front fastenings, topstitching or bib pockets. 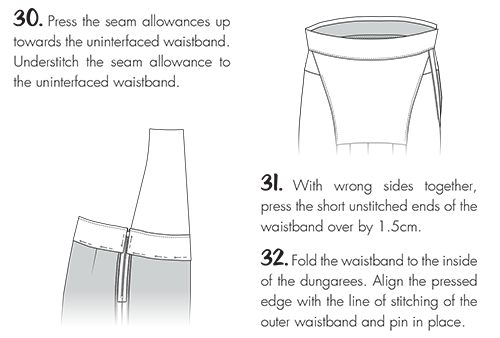 Instead, the straps neatly fasten at the back waist with buttons, with the waistband hitting the natural waist. They open at the side seam with an invisible zip and are shaped with darts at the back. The legs flare very slightly to an on-trend, flattering bootcut. For 2019, we’re changing up our PDF pattern instructions. Instead of photos, our fantastic Production Manager Nicole has illustrated each step, making following along nice and easy. We can’t wait to see your Sara Dungarees and Trousers popping up on our social media feeds. Snap up your copy of the pattern over on our online shop!